I’ve found many people are particularly energized about predicting a hard landing for China’s economy, but I believe the country is no sinking ship. China isn’t fast-approaching an iceberg in the dark of the night like the Titanic. Beijing has long been anticipating the ice chunks and subtly adjusting the rudder around inflation without steering the economic ship too far off course. China’s government angled its vessel away from inflation by increasing the required reserve ratio (RRR) every month for the first six months of 2011 and raising interest rates three times. Once inflation was sufficiently under control, the country began to steer in a direction of growth again. One significant data point is the sharp increase in money supply. After the country hit a low level of monthly money supply growth, the three-month change in M-2 money supply climbed to record levels during the final month of the year, says Greg Weldon of Weldon Financial. He says that money supply “pegged at +6.419 trillion, easily exceeding the previous record 3-month increase, seen at the peak of the global crisis, in March of 2009. Easing in China is expected to continue through 2012, with ISI Group anticipating a potential RRR cut after Chinese New Year celebrations in February, then possibly again in April, June and August. Also, loans “have become more readily available in recent weeks,” says ISI. This should all be bullish for commodities, such as copper, oil and gold, and also trickle down to boost share prices of natural resources equities. Global consumption of copper increased only 4 percent in 2011, which is lower than the 10 percent growth in 2010, but higher than the decade-average of around 3 percent, says Macquarie Research. China’s consumption of copper—which makes up 40 percent of the global demand—was a primary reason for decreased consumption, as the country was drawing down on its own supply throughout the year. This can’t continue forever, Macquarie says, adding that “demand made on new supply direct from producers would need to rise, with positive implications for prices.” Europe’s largest copper fabricator agrees with that sentiment, indicating that it anticipated China’s copper demand would be strong in 2012, according to Barclays. A recent rise in copper imports is likely the result of restocking China’s depleted copper inventories. As is typical for China, after the metal fell in price last fall, the world’s largest buyer of the metal advantageously scooped up copper to replenish its cupboard, says Barclays Capital. As shown below, copper inventories into China reached a record low in 2011, but have sharply reversed recently. China’s rapid growth and increasing reliance on other countries for key resources has made a powerful case for commodities over the past several years. These three charts from BCA Research illustrate that once the country shifted from exporting to importing a commodity, there was no looking back. You can see in all three how dramatically the energy balance has shifted to an ever-increasing dependence on imports. In each major commodity, after China began importing, growth took off. China became a net importer of crude oil in 1994, and today, is the second-largest oil importer in the world. BCA forecasts the country is expected to surpass the U.S. as the largest oil importer in only a few years. To obtain more natural gas, China spent years building massive pipelines to transport the commodity from Russia and other western Asian counties, and since 2006, natural gas imports have “gone vertical,” says BCA. Coal, which accounts for the majority of total energy consumption in China has also been imported since 2008, and since that time, imports rose substantially. Even with these imports, energy consumption is only a fraction of developed countries. The China story is just getting started: Urbanization just surpassed the 50-percent mark, hitting what I believe to be the pivotal moment that dramatically shifts buying patterns, driving an enormous demand for housing, consumer staples and durable goods. You ain’t seen nothing yet! After bounding through a tough Year of the Rabbit, we anticipate the Year of the Dragon will breathe fire back into Chinese markets in 2012. 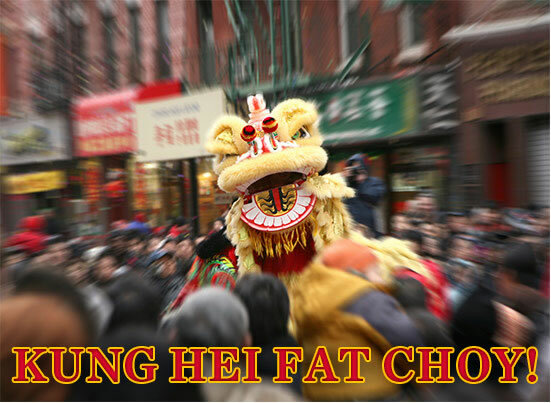 Kung hei fat choy!